Lesbians didn't always get to see themselves on screen. But between Stonewall, the feminist movement, and the experimental cinema of the 1970s, they built visibility, and transformed the social imagination about queerness. 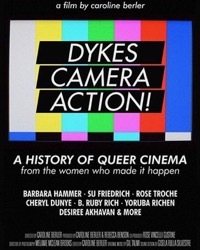 Filmmakers Barbara Hammer, Su Friedrich, Rose Troche, Cheryl Dunye, Yoruba Richen, Desiree Akhavan, Vicky Du, film critic B. Ruby Rich, Jenni Olson, and others share moving and often hilarious stories from their lives and discuss how they've expressed queer identity through film.